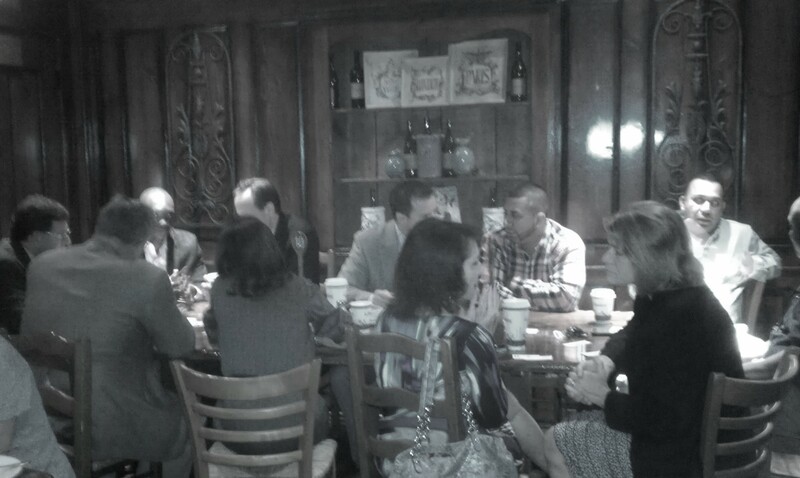 If you are a Select member, every week you attend one of our meetings, you’re networking. While our format is unique, this networking meeting is your opportunity to build relationships with members and guests and create business opportunities. To make the most of every meeting, there are a few key things you can do that will have a significant impact. Show up early – Guests always do! If your meeting starts at 7:30, arrive at 7:15. 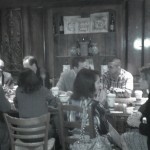 This gives you the opportunity to meet any guests who attend as well as catch up with other members. When you arrive late, you miss the opportunity to network and create business opportunities. Stay late – Our meetings always end on time so that you can easily schedule your next meeting. Try to arrange your schedule so that you have time to stay after the meeting for a few minutes to talk with the guests or catch up with another member. Act like a host – When you arrive, make a point to say hello to everyone and stand by the door to greet any visiting guests. If you are the first one to greet them, you can learn how they help their clients and introduce them to other Team members. Plan a 1:1 – Meet with another member after every meeting. Rather than rushing out of the meeting to get to your office, take another 30 minutes to meet with someone on your Team and discuss business opportunities. Doing this is a better use of your time than meeting at a different location another day during the week. When you get in the habit of doing this every week, you will develop stronger relationships with your peers and you will find additional business opportunities. Don’t sit down – Remain standing until the meeting discussions are about to start. When a guest walks into your meeting and everyone is sitting down, they usually feel very uncomfortable and unwelcomed. Some meeting venues make standing a little awkward, but the longer you remain standing, the more business opportunities you will create. Sit next to someone different – I can’t tell you how many meetings I attend where several of the members sit in the same location each week. Make it your mission to move around the room and sit next to someone different every week. When we have breakout sessions, move to a table where you haven’t had a discussion with someone in 2-3 weeks. You’ll get more out of the meetings when you take the initiative to sit with different people every week. Don’t huddle – Although you’re friends with some of your Team members, it is difficult to introduce guests to you when you form your own huddle before a meeting. If you are going to huddle, don’t let the group get larger than two or three people. At a recent meeting, I saw two guests sitting by themselves before the meeting while 6 or 7 members were huddled together. Yes, before the meeting is a great time to catch up, but don’t ignore the guests! As a member of Select, make it your responsibility to meet with every guest who attends. Even if you don’t think they will be a client of yours, they may have a family member or friend who needs your services! What is the cost to your business if you don’t meet with guests?